Alpine Meadows combines the traits of rural rugged mountain ambience and convenient mountain living. Each winter, dedicated fans of the Alpine Meadows Ski Resort enjoy the abundant powder without the abundant crowds of neighboring resorts while the summer offers abundant hiking, horseback riding and mountain biking. 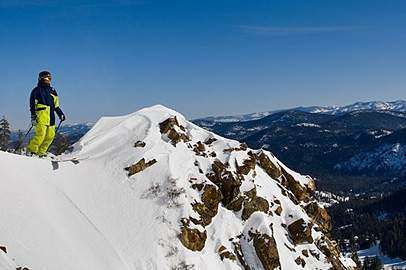 Beginning in the 2011/2012 ski season, Alpine Meadows and Squaw Valley have merged into one area making it not only one of the largest ski resorts, but now offers some of the most diversified ski terrain in all of North America. The homes in Alpine Meadows are primarily a mix of cabins, condos and luxury homes – some of which you can ski-into. Alpine Meadows real estate is worth exploring due to its’ close proximity to the slopes, Tahoe City and lush forested settings.